Police departments around the country are planning to ramp up their DUI detection and suppression efforts for the big game this weekend. Cops will deploy more road patrol officers than normal, and set up numerous checkpoints around the country this coming Sunday. These patrols and checkpoints will focus on popular nightlife areas and suburban neighborhoods where millions will be hosting or attending parties. Baltimore will likely see a large police presence in the downtown area, as thousands of Ravens fans will be out watching and celebrating the hometown team. The best piece of advice for any party goer who plans on drinking is to walk, take public transportation, or cab it. But, as most Marylanders are aware the state’s public transportation system and taxi cab network is hardly to most accessible, so driving is usually the only option. Get a designated driver, and try to find one that’ll be able to resist the temptation to drink when the Ravens are playing well, playing poorly, or doing both from one play to the next. Police departments tend to send out press releases about increased DUI patrols because their publicly stated goal is to prevent drunk driving. But for the road patrol officers out on the street who aren’t able to watch the game, their goal is to make arrests. 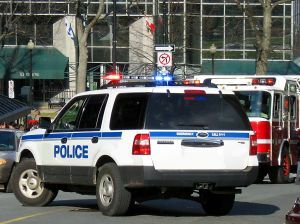 Many false or illegal DUI arrests occur on holidays or during large events when cops are on high alert. You can be sure that police will be quick to arrest after a traffic stop or at a checkpoint throughout the day and night on Sunday at the first hint of alcohol. Simply having a few drinks and then driving is not illegal. For police to make and arrest, a driver must either have a blood alcohol level of at least .08 or display to the stopping officer that they are intoxicated or under the influence to the extent that their faculties are impaired. It is not illegal to smell like beer and get behind the wheel, so it is important to know your rights if you happen to be pulled over. Roadside and police station breath alcohol tests are voluntary in Maryland unless there is a serious injury accident. Field sobriety exercises, which include such physical tasks such as the walk and turn and the one legged stand are always completely voluntary. Police will typically engage a DUI suspect in conversation to evaluate their sobriety. Remember that less is more when it comes to speaking to the police. Be polite and make eye contact, but do not be chatty. Any normal person will be nervous when approached by a cop, so don’t overthink your actions. Listen and follow instructions. If you have had anything to drink, it is never advisable to submit to roadside exercises. Maryland police departments are not required to video record a driver engaged in roadside exercises, so even if you do well there will be no proof. Not surprisingly officers are reluctant to give a driver a fair shake when it comes to performing these physical tasks. In addition, the tasks are hard enough dead sober in perfect lighting with no pressure. This will not be the case out on the street. The breathalyzer machine is also proven to be flawed, especially when not maintained properly. Do not leave your fate up to a flawed machine. Be careful on Super Bowl Sunday and be aware that cops will be out in full force. If all goes well, the celebration will continue through next week in Baltimore. Benjamin Herbst is a DUI lawyer representing clients in Baltimore and throughout Maryland. Contact Benjamin at any time for a free case consultation.